How the Power of the World Cup Equates to Recruitment Success - Acara Solutions, Inc.
Joshua Hanif, an Account Executive in our New York City office, connects success in the World Cup with the recruitment industry. 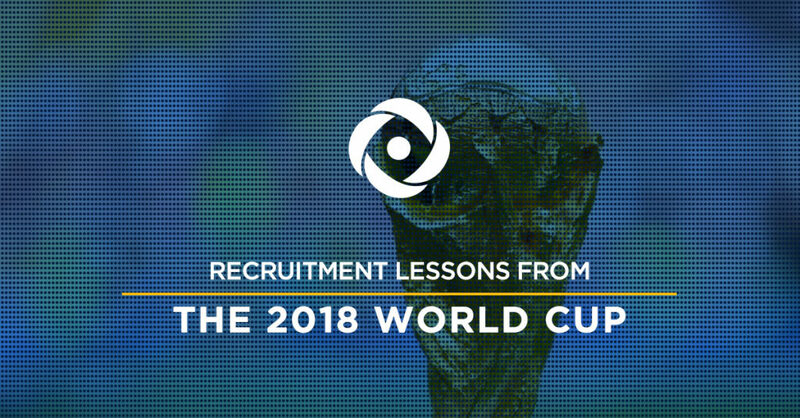 As I have been watching the World Cup play out, I can’t help but to see the many similarities between the sport of soccer and the recruitment industry. Not sure how soccer and staffing could possibly relate? Read on to see how. Just like soccer, recruiting is a team sport, and it begins with the overall structure of the team. An owner creates the team and brings it to life. VPs serve as coaches who lead and coordinate effective practices. Managers assume the role of captain as they’re in the trenches motivating their teammates to ensure quality practices. The rest of the team (account executives, recruiters, administration, marketing, paralegal, human resources and finance) are collaborating and working together to achieve a common goal. Everyone on the soccer field has a specific duty. Each team has forwards to attack the opposing team’s goal, a defense to protect their own net, and a midfield to provide support on both ends of the field. In recruitment, our client partnership serves as the midfielder because we ensure our partners are receiving the best candidates for their organization to grow efficiently. Our goal is to discover these candidates and match them with great opportunities. Without the support of a staffing agency, our companies and candidates miss the opportunity to come together. Our defense is the absorption of unnecessary headaches that come with sourcing resumes, high overhead costs, and turnover costs so our partners can focus on their mission without worrying about loss of productivity and revenue. There are other parallels between soccer and the recruitment industry that I know first-hand as a former soccer player myself. Agility was my strength in soccer. I was quick to react to various situations, reach the ball when needed, and could adjust my play very quickly. Agility in staffing is a commodity because people’s lives can unexpectedly change. Although we plan for potential issues, we must react when clients need us. One example of this is when one of my clients lost her Chief Technical Officer due to an unexpected illness and we quickly found her a replacement to keep her company from losing money due to lost productivity. Another example of agility in staffing is when a client feels that certain soft skills are actually a higher priority than the expected hard requirements for a role. As a trusted partner, we must adjust to satisfy our customer’s needs. In the end, everyone wants to win the World Cup. Just as the participating teams pour all of their energy and focus into driving success, we do the same thing on our team to provide the highest quality service to our customers. We are able to do this by following many of the same principles that we witness in soccer—create the right team, determine the best positions for that team, and provide agile support that is able to flex based on the unique needs of each customer.